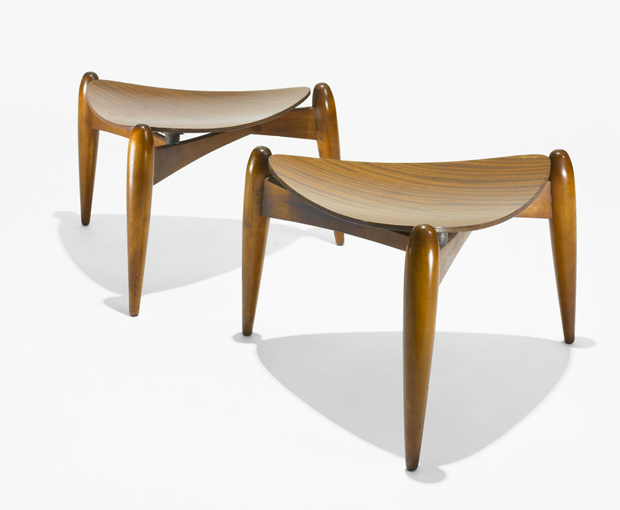 Stools designed by Ilmari Tapiovaara made out of ribbon mahogany. Today I decided to revert back to a video that I watched a few weeks ago produced by Artek which was an interesting introduction to Finnish designer Ilmari Tapiovaara. It got me thinking about his furniture and his eye for curves and fluidity, all of his pieces have a functional approach but at the same time they hold a real beauty about them. Ilmari Tapiovaara was taught by many mid-century style masters, Alvar Aalto in particular where he worked at Artek’s London office in 1935, then Le Corbusier in Paris in 1937 and finally Mies van der Rohe in Chicago in 1953. This must of been a remarkable experience and definitely shaped all his future works and career direction. 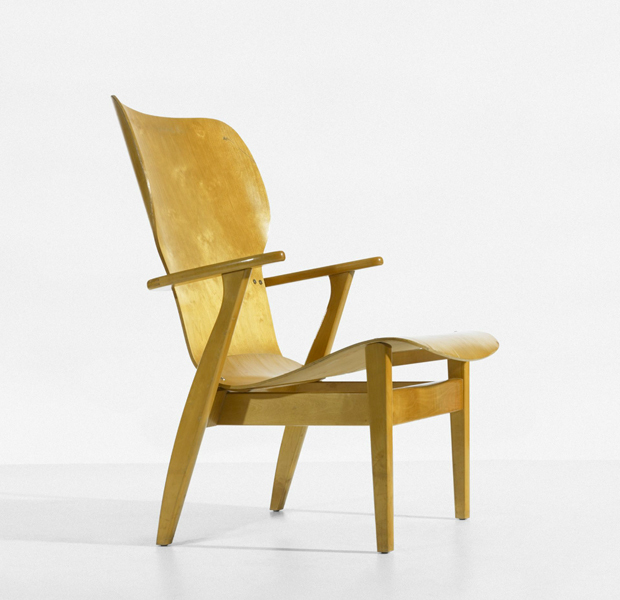 For example a lot of his furniture pieces came from commissions, he would work on the interior design and at the same time create a successful chair which suited the mood of the space, much like something Alvar Aalto would do. Ilmari looked to embrace the functionalist philosophy that a piece, both its use and structural conception, should be understood at first sight. While his pieces were still individual and innovative this slight edge gave him lots of work over the years as he could design for public spaces such as cinemas and airports, he even moved onto designing more industrial type objects like cutlery sets and radio equipment. 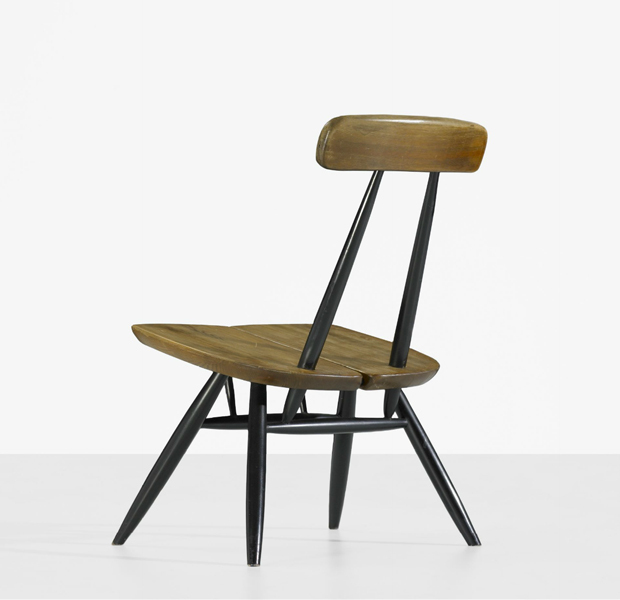 Mr Tapiovaara was very much multi-faceted with many interests, he liked to challenge himself and strip down his designs to the bare minimum, making them all functional pieces that have stood the test of time. Over the years he’s obviously been presented with many awards and has received lots of furniture prizes, what I’ve picked out today looks to showcase some of his work so you get a flavour for his design ethos. I recommend watching the video below which is really in-depth and quite intriguing, I thought it was nice to hear from one of his students and his thoughts on Ilmari as a man and a designer. It seems like the students held him in a high regard, in one section he goes onto say “although he knew he was the best, and a great designer and a star, he was never a diva. Just a regular guy. A modest master and a guru”. I think this sums him up the best. 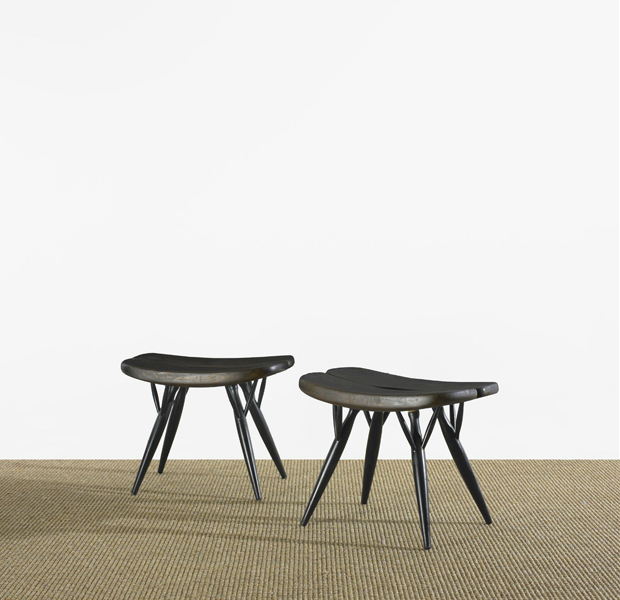 After you’ve had a watch why not make your way towards the Artek website where they still sell his much beloved works. Domus lounge chair designed by Ilmari Tapiovaara made out of birch plywood. Pirkka stools designed by Ilmari Tapiovaara made out of Stained Pine, lacquered wood. 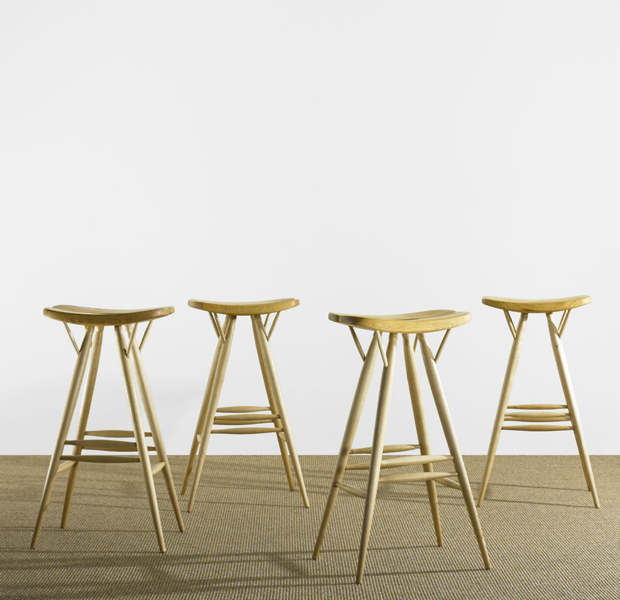 Pirkka barstools designed by Ilmari Tapiovaara made out of Pine, Maple.